Complex metal fabrication, CNC services, laser cutting, CAD/CAM design and ultimate quality are our specialties! With over 50 years of technical knowledge and experience, we can meet almost any customer requirement. 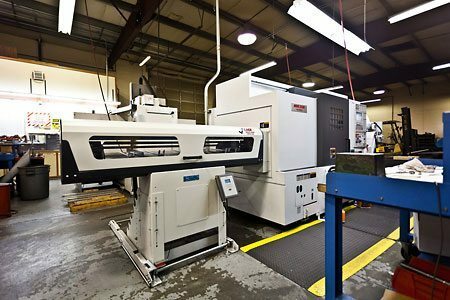 Miller uses a variety of state-of-the-art CNC (computer numerical control) mill and lathe equipment to precision-machine custom metal parts and products. 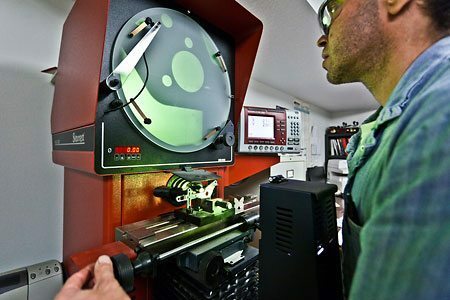 Our facilities are highly automated, using the latest computer-aided design (CAD) and computer-aided manufacturing (CAM) programs. Multi-Axis Milling - Extreme efficiency in production and quality control. Our 5 Axis machines have a maximum capacity of 50” x 20” x 20”. CNC LatheTurning - 2-Axis and Multi-Axis turning centers have a maximum turning capacity of 15" and bar feeding capacities up to 3" diameters. 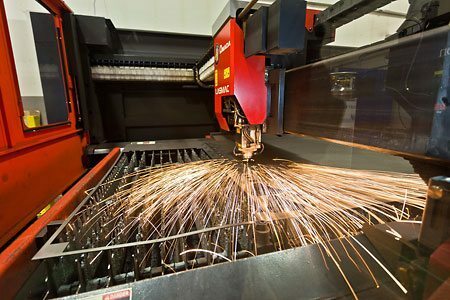 With our 4000 watt machine we are able to cut 3/4" steel, 1/2" stainless and 3/8" aluminum parts up to 60 inches width and 120 inches in length. This piece of technology allows for quick set-up times, high processing speeds, and outstanding edge quality. This fully integrated CNC controlled load/unload system gives us a competitive advantage in the laser cutting market by letting us produce parts virtually operator free. State-of-the-art sawing capabilities include an Amada 250 saw, Doall 916 auto saw and Ellis miter saws, enabling us to cut various stock down before it moves on to the CNC equipment. Miller’s hydraulic brake press center provides enable complete metal forming and bending capabilities. Our flexible 5-axis down-stroking press brake sets the standard in press brake forming, with CNC-controlled axes and instant reactive beam achieves parallel beam deflection to ensure consistent bending accuracy. We offer our customers expert TIG and MIG welding services. The Welding Department is equipped to do TIG and MIG welding on all metals and alloys of various thicknesses. Welds for watertight applications as well as cosmetic applications are routine. From design drawings to prototype parts to volume production, Miller provides top quality, start-to-finish custom metal fabrication and assembly service. Miller Engineering & Manufacturing provides a wide range of turn-key assembly services to provide you with a quality product. Manufactured products range from simple items to the full design and manufacture of a custom end product. Miller is your source for a complete range of services to complete your project. Our in-house capabilities allow us to offer a variety of different manufacturing and assembly solutions. Experience and technical expertise are just as important as having the right equipment. Our staffs of trained professionals at Miller are ready to assist in a wide range of build projects. Miller Engineering & Manufacturing is committed to providing quality control procedures that improve product quality and customer service. Procedures are continually reviewed for effectiveness and are created or revised as needed to improve quality. Quality objectives are clearly communicated to employees to ensure an understanding of company goals. All employees are encouraged and empowered to participate in quality improvement activities that promote customer satisfaction. We practice and are very proud of our quality assurance program! Materials used for your job are inspected and tracked for quality and compliance to the required specifications.